PopEntertainment.com: Wilmer Valderamma interview about Stamp Out Bullying. Copyright �2012 PopEntertainment.com. All rights reserved. Posted: July 18. 2012. 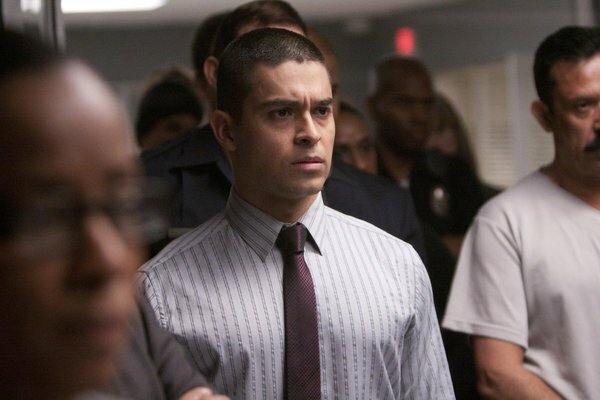 Actor Wilmer Valderrama lends his distinctive voice to an anti-bullying campaign. As Fez on That 70s Show, Wilmer Valderrama played the funniest nerd who ever lived (�It takes a nerd to create a Fez,� he tells me). However, we all know that playing � and even being � a nerd is not always Klingons and candy. Well, maybe it is candy. Valderrama has loaned his everybody-knows-it voice to the Nerds candy brand (from the Willy Wonka company) in order to promote the much-talked-about �Stomp Out Bullying� campaign. He knows whereof he speaks. Even though he was born in Miami, Vilderrama moved with his family to their native Venezuela before returning again to the US. It was then when he got his first taste of being bullied. Of course, being whip-smart as he was, he learned how to turn lemons into lemonade with ice. He personally rebranded, stamping his nerd-guy persona as �one-of-a-kind.� From that moment forward, he was leading the conga line. �Stomp Out Bullying� is an anti-bullying and cyber harassment organization for teens. It has teamed with Wonka to launch the �Nerds Unite!� campaign, to remind the world that we are all nerds at heart. �That�s why I love this campaign so much,� Vilderrama says, �because I can relate to it so directly and so organically. I really wish I had someone at that age who told me, �hey, man, it�s okay to be different,� to give me permission to be great, to be myself. When you hear that from someone you love and respect, from a parent or grandparent or someone you look up to, things could be really easier. Being that he was unlike any other snowflake in the storm, he drifted with that. It spun his life and his fate into a new direction, landing him on one of the most successful television series of the last few decades. These days, his production company is working on a long list of projects for various networks, including MTV and Disney. In addition, he continues to appear before the camera, with a part in an upcoming Spike Lee joint later this year. CLICK HERE TO SEE WHAT WILMER VALDERRAMA HAD TO SAY TO US IN 2006! #1 � 2012. Wonka Foods. All rights reserved. #2 � 2012. Courtesy of NBC-TV. All rights reserved.